Events Day – When Marvel Heroes And Villains Clash! Robin Hood In Year 7! The grandest of kudos to our alumni, Yi Lin and Aaron, for their outstanding results, and for being among best performing learners not only in Malaysia, but around the world! We are so proud of your achievements and wish you the very best in your next endeavour! The Outstanding Cambridge Learner Awards are a group of awards issued by Cambridge International Examinations. 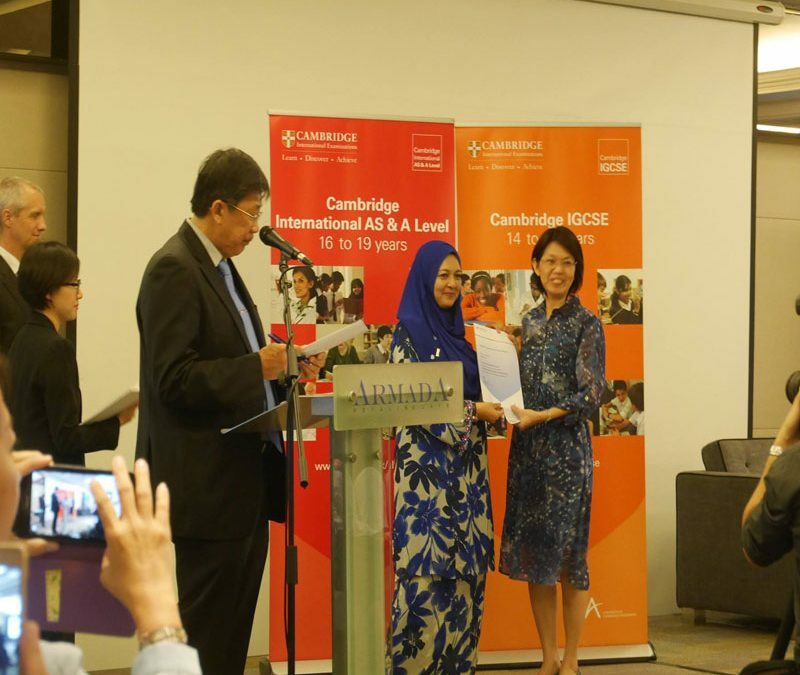 They recognise exceptional learner achievement in Cambridge examinations around the world. The primary purpose of these awards is to celebrate and recognise the success of high-performing Cambridge learners. Editor's note: Yi Lin was unable to attend but was represented by her mother during the ceremony.